When you made the decision to go to medical school (or PA or nursing school) you also made the decision to become a leader. Because that's what all healthcare professionals must be. You're in a position to dramatically affect the lives and wellbeing of your patients - the privilege of leadership is yours. 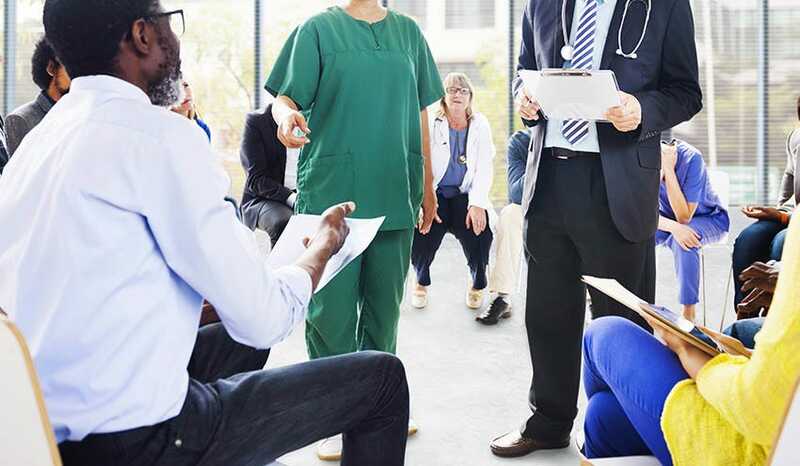 From adhering to reform mandates to hiring a quality staff, medical leaders are facing an array of complicated challenges regarding recent healthcare reforms. Mark Madden, healthcare recruitment expert and Senior Vice President of B. E. Smith, published an article in 2013 elaborating on the types of skills that are keeping senior healthcare leaders effective in the face of these new complexities. Here is our breakdown of these important points to integrate into your life and practice to become a stronger leader. Effective leaders have a clear vision of what success will look like in a specific time period. They know how to plan for it, how to communicate and direct it, and how to implement it. They dream big and look forward to overcoming the challenges their vision will face. They also know that their vision has to be actionable and measurable. And, perhaps most importantly, they understand that they are ultimately accountable for it. Leaders within the medical industry must own their vision and nurture its continuing success. In times of uncertainly, good healthcare leaders display an innate ability to adapt to constantly changing conditions. They are flexible enough to recognize and maximize the opportunities that present themselves in times of change, without losing sight of their vision. This will be increasingly important as healthcare reform continues to reshape traditional models of care. The best leaders understand that change doesn’t have to compromise their vision. In fact, it can be an opportunity to propel their vision forward. Creating opportunity out of change usually necessitates taking some risks. However, as famed U.S. General George S. Patton once said, “Take calculated risks. That is much different from being rash.” Good leaders understand this. They have the courage to try new things, many of which won’t be easy. But they also understand that capitalizing on risks requires careful study and a disciplined plan of action. Not only does this improve their chances of success, it breeds confidence within the organizational ranks that their leader knows how to generate opportunities without carelessly jeopardizing the vision. Healthcare is a relationship industry, and good healthcare leaders are constantly engaged at every level of their organization. They know how to connect and work with key internal stakeholders – employees and physicians – and external consumers, including patients, families and the community they serve. More importantly, they understand how to integrate these relationships and unite them under a single vision. This will be increasingly critical as healthcare reform continues to redefine traditional reimbursement structures, physician and hospital alignment and the advancement of more patient-centered models of care. The best leaders are always surrounded by a high performing team. They trust and empower their staff to effectively take action and achieve the desired outcomes. An effective leader must know how to recruit talent who will act on the organization’s vision. This includes everyone, not just the C-suite. Every person must understand the vision, have faith in your ability to execute that vision and possess the skills and attitudes to help achieve it. It’s an ongoing process that takes time and diligence. It always seems that the top performers in any industry have a relentlessly positive attitude towards the future and an inexhaustible reservoir of energy in sharing their vision. Think of the leaders you’ve admired most. Their drive, determination, optimism and passion are contagious. Where does it come from? Inevitably, it springs from a firm belief in what they are doing and a passion for moving it forward. Not that they didn’t experience periods of frustration or complications. But good leaders know how to cultivate a positive, energetic atmosphere, and they understand that it starts with them – every single day. Inspiring industry leaders realize that healthcare is – and should be – a calling. But they also understand that it’s a business, too, and like any other successful business, it is consumer driven. In fact, healthcare reform has actually intensified the consumer focus. Good leaders understand this and they know how to leverage consumer-centric experiences that haven’t been traditionally associated with the healthcare industry. As successful as the healthcare industry has been in developing cutting-edge, life-saving technologies, it has been woefully lacking in creating quality mentoring programs. Good leaders understand the importance of mentoring. They create environments in which current and future leaders can gain valuable experiences early in their careers. This is invaluable to future leaders, because they get to see firsthand how top performers react and respond to different situations. This exposure is critical in developing the competencies they’ll need as their careers advance. Today’s high performers recognize that leadership skills aren’t exclusively intuitive. Rather, they are constantly honed. That’s why top leaders make it a habit to seek out leadership development opportunities. For some, this might include reading books or attending seminars. For others, it might include visiting with other leaders whom they admire. Just be sure you can define the methods by which you best learn, thus you’ll be more apt to stay engaged in ongoing development. Also, don’t be hesitant to look for development opportunities outside healthcare. Other industries face similar challenges and you can learn valuable lessons from networking with leaders in those particular fields.